The King Street Wharf, one of Sydney’s premier waterside developments, is located in the hub of the city alongside neighbouring Darling Harbour and Cockle Bay. 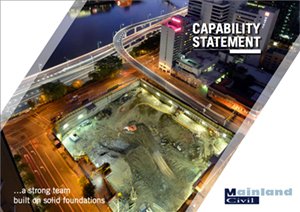 Mainland Civil completed various stages of its development work including major service diversions, road construction and bulk earthworks. Bulk excavation required the removal of 160,000m3 of contaminated fill, acid sulphate soils and hard sandstone rock. Traffic management and transport logistics were a major component in the successful completion of this unique residential and commercial development.